A bench of Justices asked the counsel for Shia Waqf Board chairman Syed Waseem Rizvi to serve a copy of the petition to Additional Solicitor General Tushar Mehta to enabling him to reply on centre's behalf. 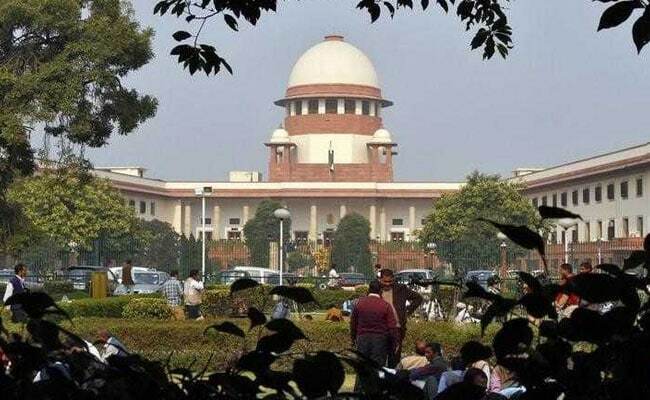 A bench of Justices AK Sikri and Ashok Bhushan asked the counsel for Shia Waqf Board chairman Syed Waseem Rizvi to serve a copy of the petition to Additional Solicitor General Tushar Mehta to enable him file a reply on behalf of the Centre. Mr Rizvi, in his plea, has claimed that green flags with a crescent and a star are "un-Islamic" and resemble the flag of a Pakistani political party. He also claimed in his plea that during his visit to Mumbai and other places in the country, he saw flags on several buildings and religious structures, allegedly causing tension between communities.